The Sixth Chakra is also called the Third Eye/BrowChakra. It’s name in Sanskrit is Ajna, which means *Perception Center*. It is located at the brow point, between the eyebrows and slightly above. This chakra is about perception, knowledge and wisdom. 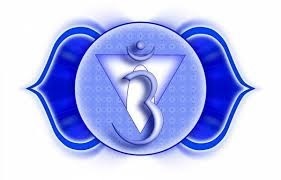 The color of this chakra is indigo; it’s element is Light and it is considered a “feminine” chakra. The function of the Sixth Chakra is learning to trust your intuition. It is about connecting with the universe and its’ energies to elevate our consciousness. We we can learn how to bring focus and clarity to our thoughts. This is where we really get into the higher realms of spirituality. This chakra connects both sides of the pituitary and the brain; the right side for insight and psychic power, the left for intelligence and how we view our world. When this chakra is balanced and functioning properly, you will be calm and peaceful. You will learn to trust and rely on the strength of your intuition when questions arise in your daily life. You will be more sensitive to your surroundings and the energies of those around you, for good or bad. You will feel a sense of oneness and connectiveness to the world and the universe it resides in. You will be as one with Nature. 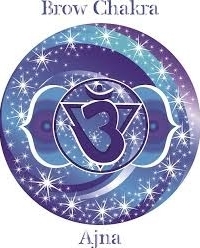 Conversely, if this chakra is unbalanced, you will be confused and paranoid. You will be unwilling to consider thoughts other than your own, becoming increasingly close-minded. You will be unable to see the reality of the world around you, trusting no one, with a need to “see to believe”. Your ability to trust will be limited. 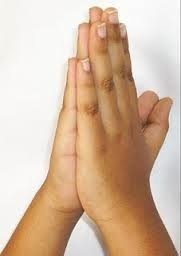 While sitting cross-legged, you can also bring your hands into prayer pose, but with the thumbs sticking our straight. Bring the thumbs to the third eye point, pressing the tips firmly onto your brow. Close our eyes and being long deep breathing. Continue for three minutes. This will help to develop your intuition and connect you to your higher power. 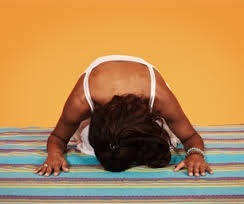 The key to strengthening this chakra is to center yourself and breathing long and deep for at least 11 minutes per day. Until next month, when I will conclude the chakra series with the combined 7th and 8th Chakras , I wish you peace, joy and a happy holiday season, no matter what you celebrate!